In the search for a new vehicle, drivers typically find themselves comparing many of the most popular models. For drivers looking for a full-size SUV, this may mean comparing the 2019 Chevy Tahoe vs 2019 Nissan Armada. Both of these vehicles are versatile, spacious, capable, and packed with standard technology. So, which vehicle is the right choice for you? The 2019 Chevy Tahoe is one of the most popular full-size SUVs of all time. It is known for its power, capability, and continually upgraded onboard technology. In nearly every automotive category, it’s a tough vehicle to beat. However, the Tahoe really stands out when it comes to its high towing capacity and performance, as well as its standard entertainment suite. Drivers investing in the Tahoe can tow up to 8,100 LBS when the SUV is properly equipped, while achieving up to 420 hp and 460 lb-ft torque. Meanwhile, standard entertainment technology includes an 8-inch touchscreen display, Apple CarPlay and Android Auto, and a WiFi hotspot. The 2019 Nissan Armada also offers impressive power and capability, as well as standard entertainment features. However, in each category the Armada just doesn’t offer as much as the Tahoe. Its horsepower, torque, and fuel economy specs are slightly lower than the Tahoe’s, and its entertainment suite lacks the increasingly desired Apple CarPlay and Android Auto. Both the 2019 Chevy Tahoe and 2019 Nissan Armada are excellent choices among the contenders in their class. But, you’ll have to decide on just one vehicle for your next purchase. So, let’s take a closer look at how these vehicles compare in performance, entertainment, and safety. Whether you’re planning on using your full-size SUV for your daily commute and errands or for long road trips while towing heavy equipment, you’ll benefit from a vehicle that offers plenty of power and capability. When it comes to the 2019 Chevy Tahoe vs 2019 Nissan Armada in the category of performance, the Tahoe takes the lead as the more powerful and efficient option. The 2019 Chevy Tahoe offers two incredibly powerful engines. It comes standard with a 5.3L V8 engine, which offers high fuel economy ratings for the full-size SUV class at up to 15 mpg in the city and 21 mpg on the highway. Even as the standard engine, the 5.3L V8 engine is still entirely capable and allows drivers to tow up to 6,400 LBS. However, if you’re looking for an even higher level of capability and power, you’ll want to upgrade to the Tahoe’s available 6.2L V8 engine. This engine produces an impressive 420 hp and 460 lb-ft, and even allows drivers to tow up to 8,100 LBS. This is more than enough to tow a large speed boat and trailer, or even midsize recreational vehicles. In the category of performance, the 2019 Chevy Tahoe is one of the toughest competitors in the full-size SUV class. The 2019 Nissan Armada is not a weak vehicle by any means, especially compared to other vehicles in its class. However, its numbers just simply fall short to what the Tahoe has to offer. Drivers investing in the 2019 Nissan Armada will only have one engine option, a 5.6L V8 engine, which gives drivers no room to upgrade this SUV’s power or capability. However, this engine does produce an impressive 390 hp and 394 lb-ft torque, which allows for a maximum towing capacity of 8,500 LBS. While these are high performance specs, none of them match or exceed what the 2019 Chevy Tahoe has to offer. Full-size SUVs like the 2019 Chevy Tahoe and 2019 Nissan Armada can seat up to eight passengers, and with this many people onboard you’ll want to ensure that everyone is connected and fully entertained. This is where an advanced infotainment system and endless entertainment features come into play. With both the Tahoe or Armada, you’ll find plenty of onboard entertainment tech. However, one infotainment has significantly higher ratings than its competitor. When it comes to entertainment, not many SUVs offer more standard features than the 2019 Chevy Tahoe. Drivers investing in the base model of the Tahoe, which starts at $48,000, comes with entertainment features like an 8-inch touchscreen display, Apple CarPlay, Android Auto, Bluetooth, a WiFi hotspot, and more than enough USB ports at no extra cost. The Tahoe also includes HD radio and satellite radio among its standard features. It’s also important to note that Chevrolet MyLink is one of the highest rated infotainment systems on the market, and has earned a reputation among consumers for its ease of use and continually updated technology. Physical buttons are carefully placed around the infotainment system, making it easier for drivers to complete simple functions while driving. Drivers interested in upgrading to more advanced entertainment features will also appreciate the available wireless charging, navigation, rear entertainment system, and Bose premium sound system. The 2019 Nissan Armada offers some impressive entertainment features, but also lacks some very important entertainment technologies. For example, the Armada comes standard with an 8-inch touchscreen, navigation, and Bluetooth, yet somehow lacks Apple CarPlay, Android Auto, and wireless charging on all of its models. The Armada also offers less USB ports than the Tahoe, with its base model offering up to four USB ports compared to the Tahoe’s seven USB ports. However, what is most concerning about the entertainment suite onboard the Armada is the negative reviews it has received from drivers and critics. The infotainment system is reportedly extremely difficult to use and noticeably outdated. Critics note that figuring out how to use the system is time-consuming and that the technology offered is not at all intuitive. The lack of Apple CarPlay and Android Auto compatibility onboard the 2019 Nissan Armada also makes using this interface even more difficult. Overall, the 2019 Chevy Tahoe is the clear choice for drivers looking for a wealthy entertainment suite. It is more intuitive, user-friendly, and comes with all of the modern technology drivers are looking for in a new vehicle. If you’re looking for a safe vehicle for you and your passengers you’ll be pleased with what the 2019 Chevy Tahoe and 2019 Nissan Armada have to offer. Between their standard and available safety features, there’s not much you can’t find in terms of driver assist technology on the Tahoe and Armada. The 2019 Chevy Tahoe is an incredibly safe and reliable vehicle, which is just one of the many reasons it has been a popular full-size SUV among consumers for over a decade. Drivers who choose to invest in the base model of the Tahoe will be able to enjoy advanced features like Teen Driver technology, rear parking sensors, and a rearview camera. However, drivers looking to upgrade to more advanced preventative features will have a wide selection of options to choose from, including a head-up display, safety alert seat, front parking sensors, and adaptive cruise control. And don’t worry, consumer favorites like lane departure warning, lane keep assist, forward collision warning, blind spot monitoring, rear cross traffic alert, and even automatic emergency braking are also available. The 2019 Nissan Armada offers a long list of standard safety features. In fact, compared to other vehicles in its class it is truly packed with standard driver assist technologies. These standard features include both front and rear parking sensors, automatic forward emergency braking, forward collision warning, rear door alert, adaptive cruise control, and a rearview camera. However, while these preventative safety features are impressive, the 2019 Nissan Armada only scored 3 out of 5 stars in the rollover test by the NHTSA. 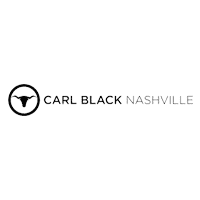 Carl Black Nashville is proud to serve as your local destination for new, used, and CPO Chevy vehicles. We offer an extensive inventory of high-quality vehicles that are carefully priced to compete with other local and national dealerships. We believe in offering the best prices possible to our new and returning customers, and offer regular specials and incentives to help make this possible. As a convenience our customers deserve, our finance department and service center are located right on site at our dealership and are staffed with helpful and knowledgeable teams. The members of our finance team are experts in providing financing for all type of credit. Whether you have perfect credit or poor credit, you can feel confident that you’ll receive financing for your new vehicle at Carl Black Nashville. Meanwhile, our service center is fully certified and is able to handle all of your automotive needs, including routine maintenance, complex repairs, and even the installation of post-purchase accessories. Need to order parts? We can help with that too! No matter what you need for your Chevy, Carl Black Nashville can help. To get started with your next vehicle purchase, simply visit our website, give us a call, or stop by our lot!